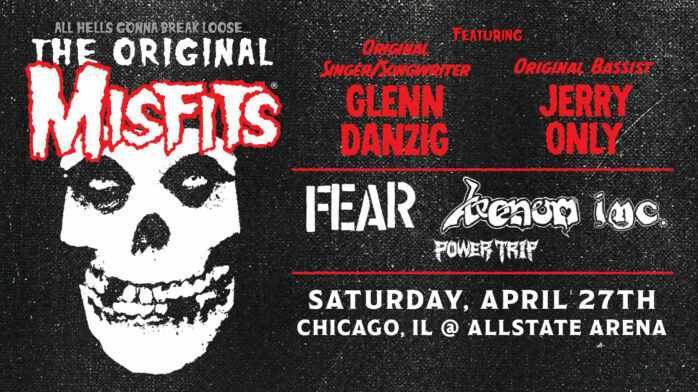 First and foremost, you’re definitely gonna want to get tickets if you haven’t already. A limited number of single-day, two-day, and three-day tickets are still available. Get them while you can. 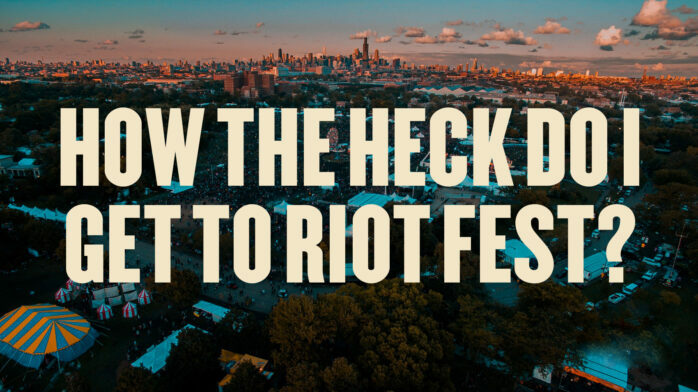 As for our suggestions, we suggest taking public transportation, riding a bicycle, taking a cab, or using a ride sharing service to get to Riot Fest. These are the most effective, environmentally sound, and right-neighborly methods to get to Douglas Park. The CTA Pink Line’s California Ave. stop is just blocks away from the festival entrance, and is probably the most convenient route to the fest. 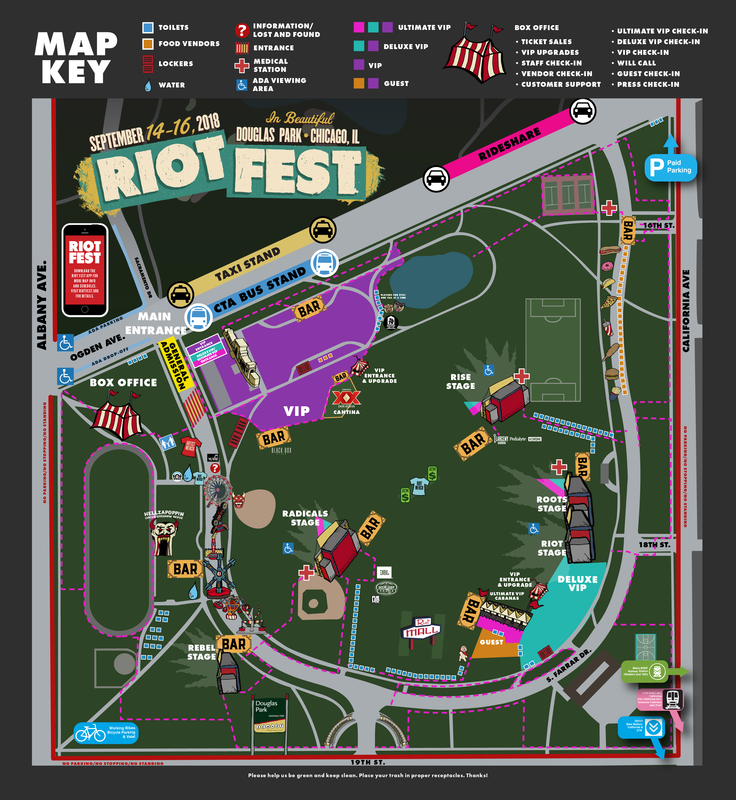 The entrance to Riot Fest is located at the intersection of W. Ogden Ave. & S. Sacramento Dr. Chicago, IL 60623. BOX OFFICELocated near the corner of Ogden & Sacramento. Just around the corner from the entrance to Riot Fest, this is the most convenient way to get to Riot Fest & Carnival in Douglas Park. Board the Pink Line and exit the train at the California stop. 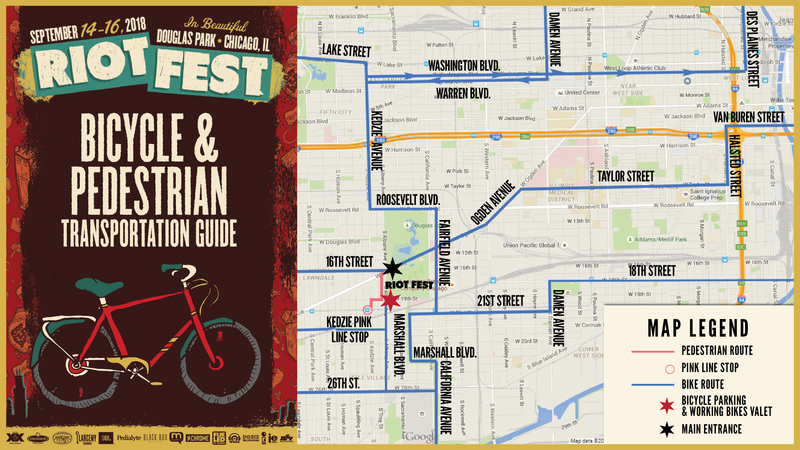 Once off the train, head north on California, make a left (west) on 19th St., then a right on Albany Ave. Head north on Albany Ave, then turn right on Ogden Ave. and the Riot Fest entrance will be on your right at the corner of Ogden Ave. and Sacramento Dr. Total distance is only .71 miles. 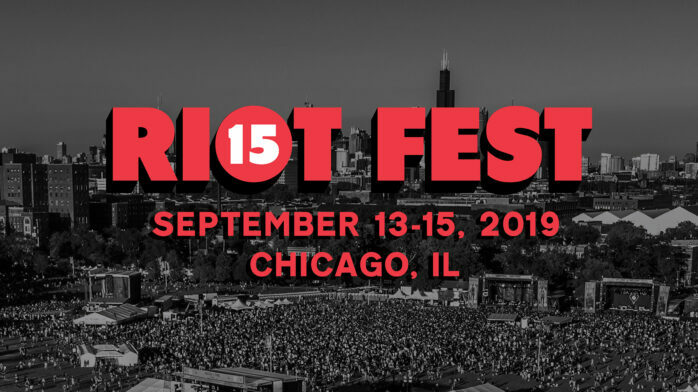 Take the free Rock Bus to Riot Fest! It departs for the festival from Reggie’s Rock Club (2109 S. State St.) multiple times a day, and returns back to the club after the fest ends each night. 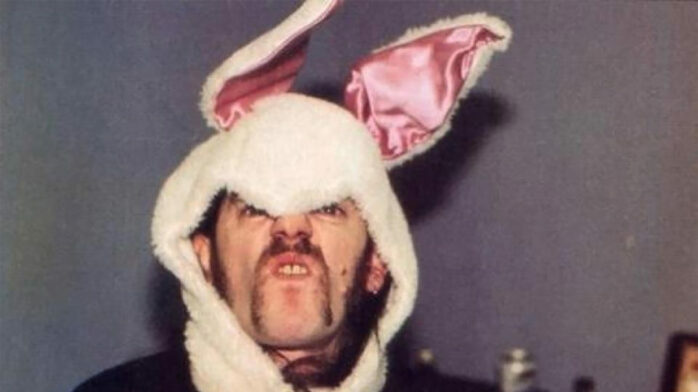 21+…and once again, it’s free! Limited and secure parking will be available. 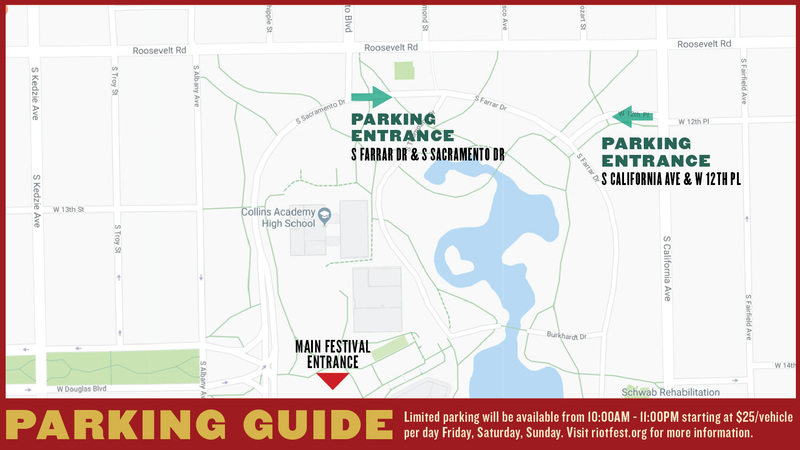 Lots will be open each day of the festival from 10:00 a.m. to 11:00 p.m., where parking spots are provided on a first come, first served basis for $25 per vehicle per day. Any cars left overnight will be removed from the lot at the owners’ expense. NO camping is allowed whatsoever, and NO open fires are permitted at any time.